The Prosecco On Tap Conundrum! Before we start, let’s be clear. This isn’t a new trend. 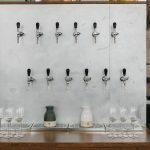 Although wine on tap has old-world origins, and was first pioneered in Italy, this is a trend exported from the United States where New World Wine producers are more experimental and quick to take up innovations. Riding the wave of the exponential growth of the craft beer industry, the rise in punk wine producers, and the appeal of draft wine to a millennial market, in America the been steadily growing for a decade. 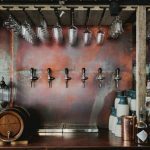 According to research by trends forecaster Mintel, the number of outlets selling wine from the tap in the US spiked by over 70 per cent in 2015 and now represents 1% of total on-trade wine sales. Wine on tap does not compromise on quality, and offers savings on price. In fact, wineries save up to 40% by filling their wine in kegs rather than bottles, and in this way they can sell better quality wines in a more cost effective format. And so big name producers are happy to come on board. “Famille Perrine will open many doors for us,” says Francesco. “They are behind one of the greatest wines in the Chateauneuf du Pape area, and provide credibility to the concept.” Another really well-known wine now served on tap is Chateau Miraval’s rose, famously owned by Brad Pitt and Angelina Jolie. But of course, it’s not just the quality of the producers on board with the trend, but the type ofvenues keen to be involved too. 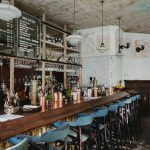 Wine expert Zeren Wilson handpicked the wines served on tap in London’s Martello Hall, while Rex & Mariano, the seafood restaurant in Soho, have made a feature out of the gleaming stainless steel taps, plumbed into a sheet of Carrara marble. The members’ bar of the Tate Modern also serves wine on tap, as does Morito, where the menu and wine list draw influences from Southern Spain, North Africa and the Eastern Mediterranean.“Personally, I love Follie’s. It’s a small chain of pizzerias in Folkestone,” says Francesco. 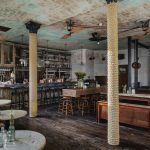 “They started with one venue and now have four restaurants so, like wine on tap, it’s a brand that’s really growing.” And while, for now, it may just be a handful of high end trendsetting venues in and around the Capital serving wine on tap, this is something that will surely change as the trend takes hold. Those who get onboard now will be seen as pioneers. Find out more about our producers here. © 2018 Love Wine On Tap. All Rights Reserved.